Imagine trying to learn your 123’s and your ABC’s with an empty, growling stomach. This is how many Kenyan children learn and why implementing feeding programs in schools is so important. Children who have food in their stomachs are able to better concentrate and, therefore, better learn. 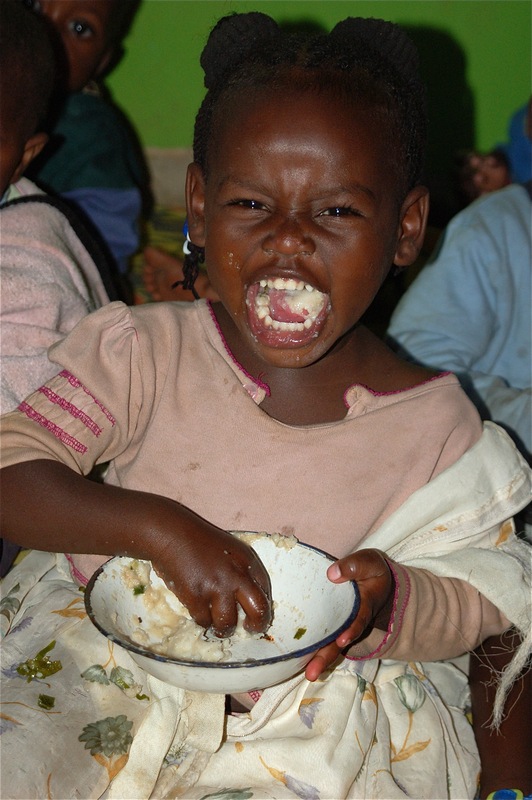 For many children in Kenyan schools, the meal that is served at school is the only one they will eat all day. VICDA currently sponsors 6 feeding programs and is continually looking for generous donors to sponsor more throughout the country. Depending upon the number of kids in attendance at the school, feeding programs cost between $270 – $830 per month. This makeshift school is made up of about 70 IDP children and currently meets in an abandoned apartment block on the community land. The children are from ages 2 to 5 years old, and VICDA would like to find a generous donor to sponsor a porridge program for the children. The cost for this program is $270/month and will make a huge difference in the quality of life for these children. If you are interested in sponsoring this feeding program, please contact us through the Contact page or simply make a donation through the button below and indicate in the special instructions that the donation is meant for feeding programs.